Obituary for Michael B. Kushma Jr.
Michael B. Kushma, Jr., 91, of North Caldwell, died June 22, 2018 surrounded by his loving family. A Memorial Gathering will be held at his residence on Saturday, June 30, 2018 from 2-5 pm. Funeral Services were entrusted to Farmer Funeral Home, Roseland, NJ. Condolences and memories may be shared at farmerfuneral.com. 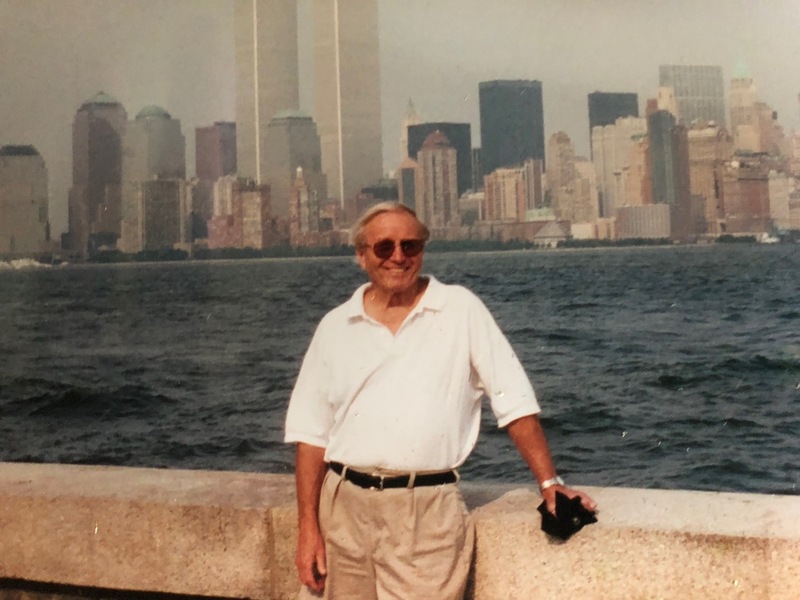 Born and raised in Perth Amboy, NJ, Michael settled in North Caldwell with his wife Lillian and young son Michael in 1959, and lived there for the remainder of his life. After high school, he enlisted in the U.S Navy to serve in World War II and was honorably discharged in 1945. He then proceeded to make good use of the G.I. Bill (and part-time work) to earn two degrees in psychology from NYU and CCNY. Eventually he started his own business, Place Mart Inc of Fairfield, NJ, where he worked until his retirement. He is pre-deceased by his beloved wife, Lillian Kushma, to whom he was married for over 60 years. Surviving are his beloved children and spouses, Michael B. Kushma III (Debra), Randy Kushma (Joyce) and Tami Johnston (Mac); cherished grandchildren Rachel (Eric), Christopher, Sara, Lili and Sam; cute great-granddaughter Elizabeth; and dear sibling Richard. He lived a full and wonderful life and will be missed, especially for his story telling. To send flowers to the family of Michael B. Kushma Jr., please visit our Heartfelt Sympathies Store.